Receive 11% OFF on Eligible Optics and Accessories. 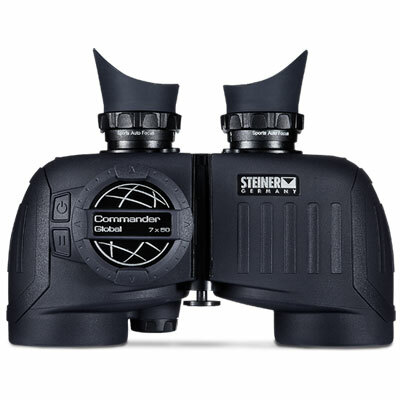 STEINER COMMANDER XP GLOBAL 7X50 BINOCULAR (40.5 oz) 4961 doubles up as an excellent digital compass for confident navigation of high seas across the globe. Reflecting the best of craftsmanship, it fits the bill as the most capable binocular on water and the ultimate choice for global sea-travelers. It incorporates marine-standard 7x magnification and 50mm light-gathering objectives, Diamond Marine lens coating and high definition optics for amazing clarity. While 7x Magnification offers a wide, stable image for tracking boats, buoys and bridge numbers even in rough water, Diamond Marine Lens Coating facilitates 96% light transmission, glare reduction, clarity enhancement and maximized optimal viewing in hazy light or darkness. The Steiner 7x50 Commander XP Global Binocular 4961 is further supplemented with an integrated Digital Worldwide Compass with an automatically adjusting smart-Illumination display, reticle for calculating distance to an object and an electronic magnetic field measurement for correct readings regardless of the position. The Steiner 7x50 Commander XP is also available with a comfortably padded and bright yellow Floating Neckstrap with 3M reflective trim that makes it making it afloat, visible and easy to spot during accidental spills. Other features of the intuitive to use, easy to read Steiner 4961 consist of Memory Diopter for storing and indication of personal diopter setting; Sports-Auto Focus System for razor sharp images from 20 yards to infinity; Steiner Nano-Protection, a hydrophobic molecular coating, that makes lens surface water and fingerprint repellent; Makrolon polycarbonate housing with NBR Long Life rubber armoring for a lightweight, rugged chassis that endures 11 Gs of impact; and N2 injection system that seals 14-psi pressurized dry nitrogen for fogproof clarity in arctic cold to desert heat. 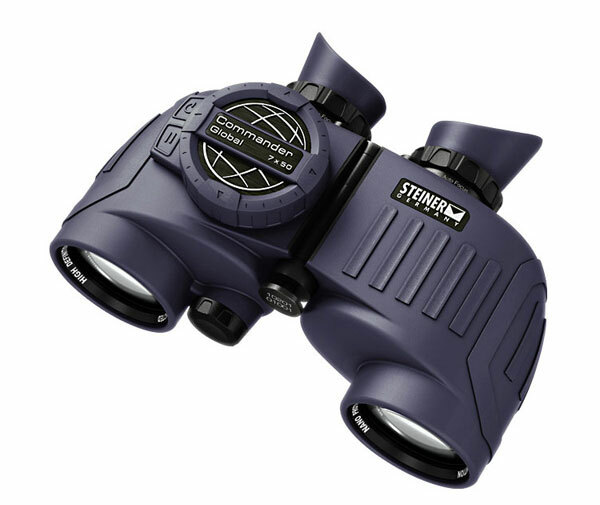 Last but not the least, Steiner Commander 7x50 comes with ClicLoc system with push button ease to keep the binoculars straight and action-ready.